Have a character in Slated no. 3 named after you! 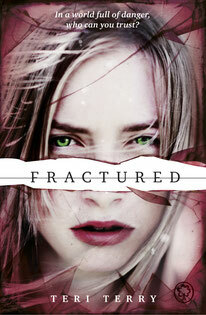 Today is UK publication day for Fractured: yippee!!!!!!!! How would you like to have a character in the third and final book of the Slated trilogy named after you? All you have to do to enter is leave a comment, below! This is open for a month - it closes 4th May at noon (UK time). Tell me your name you are entering - it is okay to use your middle name or nickname if you want to. Five winners will be chosen at random using a random number generator. All five will win a copy of Fractured. if they are in the US or Canada, it'll be a US proof of Fractured as being published by Nancy Paulsen Books in September; anywhere else and it'll be a UK edition of Fractured as published today by Orchard Books. And one of the five will be chosen to have a character named after them in book 3 of the Slated series. Don't forget to check back after May 4 to see if you won! If you have, to get your copy of Fractured you'll need to tell me where to send your book on the contact form of this website. I can't use a name that is the same or very similar to any of the other character names already in the books. For example, if your name is Kyla or Kylie, you might want to use your middle name instead. Nicknames are OK as long as they aren't rude or ridiculous! The character will be a secondary character, but I can't tell you much more than that: which character I use the winner's name for will depend a little on the name chosen, and which character it seems to fit. this closes 4th May noon (UK time). I Talk to you a lot on Twitter and I've had Fractured for 5 days. It is outstanding. thanks for this contest! It'd be so cool to have a character named after yourself. I'm so excited about the final instalment! To help out if I get chosen, you can use my name, Michelle, or my daughters', Amy or Beth. My name is Silje. It's Norwegian, so I can understand that it would be a little weird. But I would be a very happy girl if I won! Also, I'm in love with Slated. Such a great book!! I really love such contests especially when they're open internationally. :D My name is Saskia and I'm still waiting for the day when I'll meet it in a novel! getting fractured today! cant wait. you dont have to use my last name. this is a really good idea!!! Hello Teri, I'm a French girl named Blandine... It would be a cool name in a book, wouldn't it? I loved Slated so much and I will order Fractured very soon (just waiting for money!). WOOO! What an awesome giveaway prize! I'm sure whatever name you'll use will be fantastic, but I can't just help think that Hannah is the most brilliant name around! :D I'm eagerly awaiting my copy of Fractured to show up - it doesn't come out here in AU in bookstores until the 9th, but you never know, I may get called up earlier!!! Oh my goodness, currently burning through Fractured! As you know (from my incessant tweets) I finished Slated yesterday, and Fractured is just as brilliant!! I'd love to have my name in Slated #3! Well, I think Brooke is a great name for a book character! So you should certainly use my name! So I'm entering my name for the third book! EEK! In the previous comment, it was supposed to read *best. Sorry! Hi my name is Dimiana Salama i loved your first book slated, it was manificant! I read it, because of the amazing book awards, and now it's one of my favorites!I haven't read fractured yet, but I'm definitly goin to, i was even counting down the days! Ahhhh this would be absolutely amazing! I loved reading Fractured, you had it sent to me early and it was AWESOME! Love your books, so this is awesome. My full name is Rebecca Earl, but most people call me Becky. My nickname is Barmy Bex, which would be quite cool. :) looking forward to reading Fractured. Hi Teri your books are amazing, i love the mystery you wish to uncover as you read slated and after you have finished fractured you understand almost everything about Kylas old life before being slated, the only thing that you think about after you have read fractured is will kyla go back home? or will she find her old family? What will happen next? I can't wait for the next book!!! Thank you for this contest, an wow Slated is an awesome book. I can't wait to read Fractured when it comes out in the U.S. I love slated and I just can't stop commenting I am so obsessed with the books they are so interesting you can't manage to drag your eyes away from them for one second!! ohmygosh! seriously: there are some awesome names here. At least one of them I may want for my next book (as in, after Slated no. 3) - no spilling which as of yet. I know my name is a common British name, and doesnt sound dystopian like, but i adore this saga! I'd love to be named after a character in the book. I wish I saw this earlier to be i the competition but i am to revise for exams in May! Good Luck to the contestants and to Teri to the success of the book! This is a lovely idea to have your readers involved in such a way. It would be a great honour to have my name as part of your storyline. My name is Janine, but friends call me Neenie. Just wanted to say I love your book slated so much. It's hard to find a proper good these days and you have filled the gap!!!! Thank you!!!!! I loved slated and still have to buy fractured but I am so excited to read it! I am entering my name which is Isabelle but lots of people call me Izzy. Please use my name Luna is so original and not l like any of the other names in the books I think my name would fit really well in the book as maybe a girl she meets and she is all nice but then Kyla realises she is against her trying to keep her away from the people that love her. I dunno maybe she could be a really close friend from her life before. By the way I think for the book title I think you should use "Lost"!!!! It's an awesome name Nd fits perfectly with Kyla and what she is doing. This is such a lovely idea for a competition. I would love for either my first name, Erin or my middle name, Elise to be used. By the way if you somehow find out that my name is similar to some other character in the book's name then my middle name is Rebecca!! Ah I'd love to enter my own name since not many people have it, it would feel so special to me plus I LOVE THE SERIES SO FAR, planning to buy fractured tomorrow! Also are you allowed to enter more than once? Can I enter my name: Izzy? hi my name is maddy and my middle name is Claire. Instead of maddy you could do something like madison though! Hey, my name is jessica but people either call me Jessie, jess or shorty because I'm small, haha and my middle name is Faye but I don't mind which one is picked(if I win that is) :) I can't wait to get fractured because if its as good as slated I'm in for a great couple of days!! My name is Katherine but I am mostly called Katie and some of my friends sometimes call me Kiwi. Can't wait for the last book in the series!!!! Snap! we have the same name and I think we both agree that madison or maddy is the best name ever!!!!!!!!!!!!!!!! That is why it should be picked! Hi, I read your book slated and I can't wait to see know happened to ben in the 3rd book " fractured ". I live in the US and wish I could read fractured right now. I cant wait! It would be soo exciting if my name was in your 3rd book It would be amazing. I love your first book and i garuantee ill love your second on so on!. You are my favorite author. I am 13 and I soon one day would like to be a writer. Your story is so amazing and vivid. It puts me in suspense. If I had my name in your 3rd book i'd be amazed. My name is juliana and my last name is salamone it would be great if my name was in your book id just love it! My name is Annalyse (evidently), which is French. It means graceful satisfaction. I have several nicknames, Anna and Annie being two of them, which are both rather plain. My other nicknames are Lyssie and Lyse, which in my opinion, are a bit more interesting than Anna or Annie. I love both of your books and I can't wait for the next one. Thank you so much for writing them, they have changed my life. I really enjoyed slated, looking forward to Fractured. My name is Lyndon. My name is Jemma Mackle. I also get called; Jemmackle and Macks. I love your books! (although i was completely locked out of civilisation whilst reading them) Cant wait for more! Hi Teri! I absolutely ADORE your books! I've already finished fractured :P Cat is my nickname ('cause I don't like my full name all that much) but Catriona is my full name and it means Pure. It would be the most amazing thing in the world if I got a character named after me in the third book, but I really don't mind as long as it comes out! Hi Teri! I absolutely LOVED Slated - i've not put it down since I got it last year, It never gets boring despite the re-reads, and being half way through Fractured I can tell its going to be just the same! Many of my friends call me Ella, since I'm not too keen on my full name - Obviously it'd be awesome to have a character named after me, but I'm more excited to read what you write next! I LOVE Slated-its one of the best books I've read-really wanna read Fractured!!! I love the name Abigail as well, or maybe Landen for a boy? Hi, my names Jessica Eve Patton, but everyone calls me Jess. I haven't finished Fractured yet, so I don't know if you have any similarly named character, but any abbreviation is fine. Looking forward to book 3! Hi teri, my name is Beatrice Charlotte Dallas but everyone calls me Bea(occasionally beamer)! I have just come back from waterstones where I am part of a club where we get to read books and then review them. I was absolutely over the moon when I got given fractured earlier today!I am not that far in but I am gripped already! your books are amazing and I can guarentee that this my review is going to be a great one. I can't WAIT to get back to the book! I love the slated series a mix of a futuristic world and a corrupted government with many different sides! My name is Joanna, and my nickname is Jojo. Can't Wait to read fractured!!!!! When I read Slated, I honestly thought it was the best book I have ever read. I read it whilst in hospital and without that book I would've been so bored I probably could've cried! It ended too soon, I thought! I'm getting the second book today on my Kindle hopefully! I actually read the first book and started drawing how I would imagine the characters and scenes (you might have seen my pics on my mum's facebook page, Nina W.) And I can't wait to read the next book!! Hey I love your books just read fractured can't believe the ending and about finding ben.oh and thank you for writing them there brill.Good look with your new book which I'm really looking forward too!!!!!! Hi! I'm a huge fan of Slated and Fractured! I convinced all my friends to read the books- and my family! The other day I got home and my gran was actually talking to the book, saying "CAM! HOW COULD YOU?! SHE TRUSTED YOU!" Can't wait for the third book. I have never seen my name in a book and if it was published in my favourite series I think I would hyperventilate. I love Slated and can't wait to read fractured!! I understand Jessica/Jess would be a bit of an average name, but my middle name is Francais so... up to you! My name is Chenice Gynn :) but i often just use Chenice Amelia because its my middle name! would be so strange to see my name in a book, because its not common at all and i never hear my name anywhere! Hi my name is Adele but all my friends call me Adi. i'd love to have my name in the third book because it would be so cool to be able to have a character which you could relate to as its named after you. And thats why you should pick adi! My name is Erin, but for this I think my middle name Rose would be more suited! I absolutely loved slated. I re-read it all the time! Hi my name is Jackie my full name is Jacqueline. I loved Slated and am anxiously awaiting the release of Fractured here in the US. I would like to submit the names of my daughters for you to use...Skyler, Katy, or Lyla. Love Slated - I would love to be a character in the third book! slated was AWESOME, just got my hands on fractured! can't wait... i heard there could be a movie in the future?! hope so!! I love this series and can't wait for the next book. Fabienne, would be a good name, its unusual and not many people have heard of it. Plus I've never came across it in any books before. As for nicknames you've got the usual Fab. People call me "Jessa" or "pita" and as of my last name "Rouge" as nobody can pronounce it correctly. Can't wait to read Fractured but I'm short on money right now. Fractured has just arrived in the post from the UK (I am in Germany) and I can't wait to read it! Hi my name is Avin, it means love in Kurdish so it would be really cool if you use it. I can't wait for the third book. Bought Fractured on the day it came out on my kindle and finished it in 2 days: I just couldn't put it down, it's totally addictive! My name is maddy!! And can everyone go to the fan links section andd visit our slan site!! Us Slans are like having a party and we want you guys to join us! Just found this book on facebook and it sounds awesome, it's now on my to-read list :) My name is Sarah-Jayne but a lot of people call me SJ for short. Hi thank you for writing such amazing books!!! i absolutely LOVED them!!!! Well I'm 10 and I love your Books there brill.well my nickname is hanni,H and fox .I would love my name in your my book it would amazing you probably won't chose it but there's a chance.thank you for writing your books I love them. I really enjoyed Slated and Fractured. I couldn't put them down. I don't know if I can wait a whole year for the third book. Emma is my middle name. Hi, I read your novel Slated two days ago and I'm fascinated by how you described the characters. I have always wanted to create a book of my own although I always end up tearing it up. I can't wait until your third book comes out! My name is Ruth, or Ruthie, or Rulo, or many other nicknames. I read Slated and loved it so much it was almost like torture to discover I would have to wait months and months to read Fractured. Now it's out I'm hoping to grab myself a copy soon. I can't make the signing though so am working out how to get a signed copy. Keep writing... when is book three out? i really love slated. such an amazing book. i'd love to be a character in the third book! I'm Matisse, I don't have many nicknames just the two: Tisse and Tc, though I like my full name better. I loved slated and was so excited to find out that there was a second book! I felt so connected to the characters and the story line, when I finished reading the book it felt as if I had lost a friend, which is why I was super happy to hear about Fractured! Keep writing you're amazing! I love your books. I aspire to become an author myself. My full name is Chloe Margaret Barbra Morgan Smith. Cant wait for the next book to come out. I will end up reading all of them again. A. MAZING! I absolutely love your books and especially the twists and turns you put into the book. My full name is Honor-May Roca Hill, But i go by Honor most of the time... Mainly family call me by Honor-May. I don't have any nicknames unfortunately.The Roca bit of my name is meant to mean waterfall or rock in Argentina. But I am english and not completely sure. I would really appreciate if my name was put as a character as these books are my favourite and I really would like to have my name as a character. my mum gave birth to me on the Eiffel Tower weird right...she and my dad were on there summer vacation when she had her contractions.A lady helped my mum whilst some people called an ambulance.Thats all i know :). My nickname is fish cuz i am the best swimmer in my region. I picked up your book slated one day at my local library and i love how you write! you have a cool name btw teri terry. your an inspiration. Hope my name gets picked!! Wow, I love Slated so much! I'm in the middle of reading it right now, and it is difficult to put it down. You are such a talented writer! I can't wait to finish it and find out what happens at the end. I also can't wait to read Fractured! Thanks so much! It is just so rare to find a book like Slated. Unlike many other books, I was captured in its dystopian world filled with endless intriguing characters. Thank you so much for giving me the opportunity to immerse myself in your book. I CAN NOT WAIT UNTIL THE 3RD BOOK COMES OUT!!!! Hi, my name is Bea (short for beatrix which I hate) and I just loveeee Slated!!!!!!! Please pick me because I am your biggest slan and would just looooove a copy of fractured!!!!!!!!!!! My name is Carla and I live in Australia! I was nicknamed Cee by my older brother and later on, Lala. Both nicknames have kind of stuck and hardly anybody calls me by my first name now. Fractured was amazing! I'm so glad Australia got a great release date, same as the UK! My name is Makenna by the way! It's a Gaelic name, or so my mum says. Please don't keep us waiting too long for book 3! I was hooked the moment I started reading Slated, and fortunately Fractured was released a month later so I didn't have long to wait. Now I don't know how I'm going to wait all this time for the 3rd book! I've read a lot of dystopian fiction but this is by far the best. Move over Suzanne Collins! I love this series Slated and couldn't put the books down and I would love this opportunity to have my name in the next book. I'm so glad my friend let me borrow Slated!! Can't wait for the 3rd book to come out!! It would be cool if my name was in the book. Great book, looking forward to the 3rd. My son is called Harley and you don't get many of them. He also has the nickname Harls. I wanted to propose my little sister's name in this contest. I bought Slated for myself when it first came out and I liked it so much that I made my little sister read it and she loved it too. My sister's name is Lily and her middle name is Asha. I've always loved both names as well as the way they sound together.I think the name Asha could really work in the series as it is slightly unusual and I think it is very powerful. We haven't managed to buy Fractured yet (we live in a rural area) but we are both looking forward to reading it when we can finally get our hands on it! My name is Frances but seeing as my name is French and so is my mothers last name(Rougier) my friends jokingly call me Francoise Rougier. Anyway enough about my name. Congratulations on the success of Slated, I can't wait to read Fractured! Carry on being awesome! What amazing books and a wonderful opportunity - my name is Tara and I'd love to see it in print, and how you could weave me into the story. Hi, My name is Lidya Loe. You pronounce it the same as Lydia. This is such an awesome and unique giveaway. Awesome contest - thank you!! I just finished Slated and oh my gosh it was amazing. I seriously finished it in a day because I couldnt put it down. It would be wonderful to see a book character with my name. I tweet you regularly praising you for the first 2 books. They really are brilliant! Most people have mentioned what an awesome prize itd be in the 3rd book but ill say it again!! I always wanted to swap my names so if. You pick me id like the character to be called Kathryn - Kat Black. Hi Teri! My name is Martha and I haven't read Fractured yet and I hope I'll win the contest because I can't find the book in any book shops nearby! I have Emailed you before, and my friend has to, and you replied but I'm sure you won't remember me! Hi Teri! My name is Meg Schimming, these books are amazing!! Slated was amazing as was/is fractured!!!! Heya, I think your stories are amazing! I read Slated when it came out and finished it within 24 hours, I did the same with Fractured. My only complaint is that it wasn't long enough! My full name is Irene Angela de Faverché Joyce so you can use any part of it you like. I love your book so much! I'm currently trying to get the second. I am looking forward to reading it!! I read Slated and I absolutely loved it! I just bought Fractured and I can't wait to start reading! My name's Jenna as you can see and my middle name's Stephanie so either or! Its cornish for "Joy" and i think it is a very pretty name. Could you please consider this? I would litrally die if my name was in one of your books! I'm Mercedes. I'm a Librarian in Houston, TX. I've got tons of reading I need to be doing, but got hooked on Slated. I love the character so much, I didn't want to plow through it. I can't wait to read the sequal, it's goign to be a bit longer before it's out over here. Looking forward to getting into this book! Cannot wait for 'Fractured' to be out in Australia, 'Slated' was such an amazing book that left me wanting more! It'd be an honor to have a character named after me in book 3. I love your books they're amazing! I'd love it if you could use my first name but it's lucy and I know that's the same as kolas real name so you ma like to use my middle name which is Helen! I just finished reading fractured 5mintues ago and I loved every mintute of it! Would be honoured if my name was featured in one of your books. I'd love it if you could use my name Sammy, maybe you could make me another slated kyla could be friends with? As I really liked having cam around her. Thanks. I love the slated books they are amazing! I think my first name would be great as it is quite unusual! I loved all your books! I'd love if you could use my name summer as it's different for most others. My name is sophie and my middle name is grace I like to be called sophie grace as I think it sound better :) I enjoyed slated and have been waiting ages for fractured to come out,now I can't wait to get the third book when it comes out! Hi there! My name is Grace India Wilcox, I'm from New Zealand, my nickname is Gracie and one day I would love to be a writer. I love you and your writing - Slated is absolutely fantastic (In fact it's one of my favourite books) and I cannot wait until I can read Fractured. I'm sure it'll be amazing. Bring on book 3 in 2014! I'm from Australia and I absolutely love slated and I'm reading fractured right now, ugh I cant put it down, I'm not much of a reader but these books, are incredible! You can use my name'Emily Street'...and as Street is such a familiar name in our cities and towns I'm sure it would be one that stuck with your readers. Good luck with your film and books. These are one of my favourite books and have managed to make the top shelf of my bookcase (where only the best books go) I was so happy when I got them that I read both of them in one day. I can't wait for the third book to be out and I really hope they make a film of these books soon. A lot of people get confused saying my name; especially teachers! So I thought I would add that it is pronouced Or ree lee a. I had forgotten to add this before as I was too busy saying how marvellous your books are. Hello, my name is Georgia Lee Tate. I am sixteen and aspiring to be an author. I live in Aylesbury and I'll be looking forward to seeing you at Waterstones! Your writing is devilishly inticing! Good luck with your next book and your film. P.s. my nickname is sometimes Joanna or Jo. P.s.s. love the books so Mutch and can't wait for the film and book 3 :D.
My name’s Holly and I'd love to have my name in Slated #3!I hope Slated becomes a film, I loved it! It would be great to read my name in Slated. I love you'r books! Read both of them in a matter of hours. Can't wait for the final instalment in 2014! Hey I'm Claire and I've been a big fan of Slated ever since it came out: it's one of my favourite books of all time. It would be such an honour to have my name in the final Slated book! My dream is to one day be a writer like you and I can't wait for the final book. I'm Marina which is kinda awkward since I got named after a cartoon mermaid... And I Love your books, they're my favorite! You've given me an AMAZING idea for a story - sort of on the lines of paranormal thriller, I can't wait to write it! I adore writing! I can't WAIT for book three - I'm SO excited! Thank you so much for writing the Slated books, they're amazing and they get me gasping at every page! Hi, I would love to enter this competition! I'm Freya I have read your book and absolutely fell in love with yor books and I feel as though I can really relate to Kyla/rain. Your a great author and I want to write when I'm older too. My name is Anna. I am really quite a big fan of your book Slated. It was very interesting and I cannot wait until the new book comes out. I'd love to enter the competition! I am absolutely in love with your books! Slated and fractured are definitely my favourite books by far! Thankyou so much for writing such amazing books! Very, very talented. Well done! Hello! My name is Jennifer and I am 15 years old, living in the Uk. I have read many books but Slated has certaintly been the best by far! I just couldnt put it down, and found Kyla a very intregueing character, and her relationship with Ben so fantastic! When it came to the end of the book, my heart sank and was desperate to find out what happened next! So i am very very excited about fractured! It would mean so much to have my name as one of the characters in your fantastic novel! I love your books and got to see you at a signing for Fractured in Heffers but if you used my name it would have to be my middle name which is Louise as Amy is all ready a character name and i just want to say your books are AMAZING!! Slated is such an amazing book, however it scares me because from the description of people who get slated scarily reminds me of me. My name is Madeleine but people call me Red or M.J. (for Madeleine Jane) I am an author and I have added many people's names into my books but it would be soo cool to have my name in a book. I LOVE slated and can't wait for fractured. My name is Harriet, buy some of my friends call me Ari, which is a nickname I realised I had when I took out some of the letters from my name. Currently, I'm fifteen and living in the UK. I think that Slated is such a brilliant book, and I am ever so excited to begin reading Fractured. Can I also just say, that your writing is very gripping and page-turning! It would be amazing to have a character with my name, because my name is rarely used in books. This is my new favourite book I love it. Hi, i went to your book signing in Cambridge yesterday (20th April) and it was really cool to hear you read some of fractured and for you to answer some questions. I started and finished reading fractured yesterday and it was amazing. I can't wait for the third book! :p It'd be really cool if my name was in it. My name is Katie but if that's too similar to Kyla you could use my middle name, which is Emma. Thanks! My names Tiana, I'm 16 and from Australia. Slated was an amazing novel to read. I could not put it down! I became so engrossed in the book that I had to read it again as soon as I finished it. I was recommended this book by my best friend and quite frankly I am so thrilled that she did. One of the best books that I have read, I am way too excited to start reading Fractured, i've been begging my mum to go and purchase it for me! You are amazing and my idol, I would love to publish a novel. Such an inspiration! hi,my name is rose cockrill,an other name i like to call myself is rosie or rosabella..i haven't read your books yet but the look really good ! Hi i LOVE LOVE LOVE your books! i think i spent a whole day reading the first book and i am currently going through the second! You can use my name Lynn. thanks! Hi I absolutaly love Slated & Fractured! My nickname is Maggie since I look like my nanny (her name isMargaret). Anyways I can't wait for the 3rd book to come out! My name is Tara-Jay Thompson but my nicknames are TJ and Bambi because i always fall over :S I love your books and hope i win. Hi! Absolutely love your books. Finished fractured in two days!!!!!!! It's AMAZING. Can't believe I have to wait another year for the third one to come out!!!!!!!!!!! Oh, and I really enjoyed your talk at my school the other day!!!! Thanks for signing my books early!!!! Hey Teri I love the Slated series! Hope the film rumours are true, I'll be waiting at the front of the line for tickets! Hi! My name's Isabella, but pretty much everyone calls me Bella, my middle name is Sophie, and I'm 13. It would be AMAZING if any character was named one of these because I absoloutly LOVE LOVE LOVE both Slated and Fractured! They are both some of my favourite, if not my favourite, books ever. Hello, ny name is Sarah and I am 12 years old. I have really enjoyed reading Slated and (fingers crossed) I hope I get picked to have my name put in the third book. I would like you to know that the series are the best I have ever read and even if I don't get picked, I will still respect and love your books forever <3. Slated was absolutely amazing! My name is Ciara (it's Irish) but a couple of people call me Ginger because of my hair colour...I'd LOVE to have my name in book 3 whether it's Ciara or Ginger! My name is Kate, but some people randomly call me Kezia!! Hi there Teri, I haven't had the chance to read Fractured(as I live in Australia) but I ADORE Slated! I borrowed it from the library and was totally sucked in; I actually read it three times in a row until my mum took it back. my name is abbie bell and my nickname is abbz. i loved the books cant wait for the next book!! Slated had me on the edge of my seat throughout the whole book. It would be a dream come true if my name was in fractured. I read slated but I have not yet read fractured. It was full of twists and surprises that I didnt expect, I could not put it down. It would be amazing if my name was in your book. You are a great writer. I have just finished Fractured and I am hooked. It would be incredible to have my name in your book! I love your books. It would be awesome to have a character named after me! Can't wait for the 3rd book! I loved every single one of the characters, it kept me on edge the whole time. Hi Teri, Love the books. Listened to you the other day. Very Intresting! Please name the character Max or Maxwell. I don't mind really. They are both good! Hello, my name is Faith and I just wanted to say how obsessed I am with Teri Terry's books. When I read Slated for the first time, I was locked into it. I read it in 2 days! I was in class when Ben 'supposedly' died, and I got tears in my eyes! I started to get emotional, and then when I reached the end, I kept on turning the back page to see if it was really over. I was SO SCARED that there wasn't going to be a second book. I would be so honored if my name was in the 3rd book! Teri Terry, you have talent that only comes and goes once in a lifetime!!! I LOVE writing my own books, but I can never get a good plot. You captured that, and then she let it free. Ladies and Gentlemen,Slated is a masterpiece. Loved slated when i read it last summer have been waiting for the sepuel all year and am so excited i can now get stuck in. my name is Rose and second name Eleanor. Hello, I just started reading your series and I completely love it!! I finish the first book in 2 hours!! I love the plot and i cant wait to read more!! (Almost did a table flip because didn't have second yet). It's been a while since I read a psychological thriller that I like. My name is jennifer Flores , but I'm usually called Jen!! Hi, it's Gillian, again. My name sounds like Jillian, only it's spelled with a g instead of j. Just wanted to say that I just finished your book, Slated, and wow, it's hard for me find books I LOVE, but this is definitely one. I love to write and want to be a teacher when I grow up, but I think it would be really neat to get an original book published on the side. Thank you for writing such amazing books!! My middle name's actually Violet, but Boo is my nickname so it could be whichever fits best (although Violet Mushroom kinda sounds like a hallucinogenic drug.. xD). I absolutely loved the first two books, can't wait for the next one! :) Kayleigh or Jane would be great! Hi, my first name is Laura. My mum pronounced it in the English way and my Serbian father pronounced it in the Italian way (apparently I was named after an Italian relative). My middle name is Sofia. I am writing a novel as part of my PhD thesis and one of the reviewers on my transfer seminar panel recommended that I find out about you. So this is very exciting for me! I'm thrilled to have read about your success. Hello, my name is Sapna and I LOVED slated so much!!! I think Asha would be a suitable name for the character in the upcoming novel. It is pronounced a-sha not u-sha ahaha :) it has various meanings like "hope" in Indian and "born at dusk" in Japanese. My name is vibrant and I think would create a raw modern edge to the character you name with Asha. a shy mystic girl yet comes around revealing a big secret. then shows successful help to Kyla/Lucy. Just wanted to thank you for coming to our school - St. Georges,Blackpool - last week, the students thoroughly enjoyed your visit as they are your books! P.S. Hope your the best year of wishes and dreams! I chose slated for my book study homework and read the whole book in a few days. As soon as i could, i got fractured (which im roughly half way through now) and its so exciting. Im only 11 but have been told to read higher level books and am glad as these books are amazing and I am glued to fractured now. Slated is the best book i've ever read in my whole life and am sure fractured will be as well. You came to my school (Hethersett High School) on the 25th of April and talked to us about your awesome books!!! Before Thursday i didn't know about you or your books but got Slated out of the library yesterday and finished it approx. 15mins ago. IT WAS BRILLIANT!!!!! I loved it!!!! Am really loking forward to reading Fractured but someone else has borrowed that from the library so have reserved it so i get it as soon as they return it (good things come to those who wait; i am not very patient though, especially when it comes to books). Sorry for writing a very big comment, i would like to put my name Leonie or Lele (nickname) forward for the competition. Thanks soo much again for coming into our school!!!! Ps. I almost cried reading Slated! How are you going to know that it is the person whose number was picked? Hi:) I'm Iain Adam. You came to my school and I was really interested in your books. So excited in reading your next book!!! Hi my names Kiara but my mates call me Misa for some reason I LOVE slated and it would be awessome if my name was in there! Hello. My name is Jennifer Deanna. I am 13 and I love Slated! You are such a talented writer. If I get picked I honestly do not mind if you use my First or last name. Keep on writing in the future. You are brilliant!! Hi, My name is Ella Banham. I loved your book Slated and I enjoyed it when you visited my school! Your talk inspired me to try writing seriously and I hope that one day I will have a book published like you! Because I am an Aussie, called Lynn, I get many nickname variations from friends overseas. Auslynn Auslin Ozlin Ozzlynn. Take your pick. Finished reading Fractured in one sitting only to discover that it is the 2nd book. Need to sign off so I can get to the bookshop before it closes so I can buy Slated. Hi teri finished fractured WOW! great series couldnt put it don. Cant wait for third book. Anyhoo i would like to enter my surname Bastian. Thank you. My name is Shahar - It's in Hebrew and it means both Dawn and Truth. I love the books so much! Your books are awesome! And my real name is Katherine, though I'm not particularly fond of it. Love your books! If it's okay i'd like to enter my name for the competition; Jennie (Rose Madden-Robinson). It means 'white wave' which is quite weird haha! If you did pick me it would be lovely, but it's up to you! I think your books are brilliant! I've been waiting for the second book in the series to come out in such anticipation that I thought I was going to explode. Thank you! My name is an unusual one! Hi, I would like to enter my name for the competition. I got your book the day it came into our school library and it was far better than I expected it. I was truly hooked by the ending. Thank you for your books! I would really appreciate it if you included it I your book! I'd like to enter my grandson's name as I reckon he'll enjoy your trilogy - and other future books - when he reaches the right age. His name is Leo David Wenlock Rothenberg. Feel free to use any or all names! Unfortunately I haven't read Fractured yet because I haven't been able to buy it yet but man I am so pumped for it! I'm so happy for you and how much success your books have had, and although your success is amazing I think you deserve much much more! You're a great writer and I love Slated so much! Thank you! My name is Samantha Jamie, but I'm known as Sam or Sammie B.
I love your books and cannot wait to get my hands on the last one! I also hope that you have many more stories published because we all love to read what you have written. Im Ashley or Ash. My nickname is Ron or Ronnie. Hi my name is lee but I prefer lee-anna, I'm 15 years old and really enjoy reading your books , I also can not wait for the third book to come out !! My name is Teresa, which is kind of close to yours :) My nickname is Terri but I don't suppose you'll use that in your book! Hi, my name is quite rare at the moment (I am the only one in my school of over 1000 with Evie as there name) I love slated and fractured both took me 3 days to read! I cannot wait until the third book. So excited! I would love this !!! I can't wait for the next installment! I hope you have as much fun writing as I do reading your books! HI my name is leila and I love Slated sooooo much please pick my name! Heya my name is Mailili but my best friends (who made me read slated) call me lili. I've just read half of slate and I'm already in love! please pick me?!?!?! i think mailili is a really awesome name! My first name is Isabell. Everyone always calls me Isabella or spells my name Isabel or Isabelle. But my name is "Is a bell". And that's why I like it! My name is Harriet!! This would be so cool!!!!!!! p.s i loved Fractured so much! Hi Teri, I'm a massive fan of Slated and I can't wait to read fractured! It would be a honour to be named after a character in the 3rd installment. I'm Julie daughter and ivy granddaughter joanne, but I would like to enter my moms and nans name in because they have done so much for me and I think thier great names because their unique. P.s. I hope your decision isn't to hard through all these cool names !! Hi, my names Annie... I don't think I can say anything more about your books that you haven't already heard, but that's because they're just that amazing! Anyone I talk to I recommend the series to, and I haven't heard anything negative about it ever. It's my favorite series of all time (and I've read a lot of books!) It would be amazing to have a character named after me, but I know I'll love the next book regardless! Hi Teri my name is mark andy I love slated. Please choose my name it would be the biggest honour ever. You came to my school and it made me buy Slated! It is fantastic! This competition is now closed! thanks so much to everyone who entered. I'll put up a blog post with the five who will receive a copy of Fractured, and the winning name, soon.